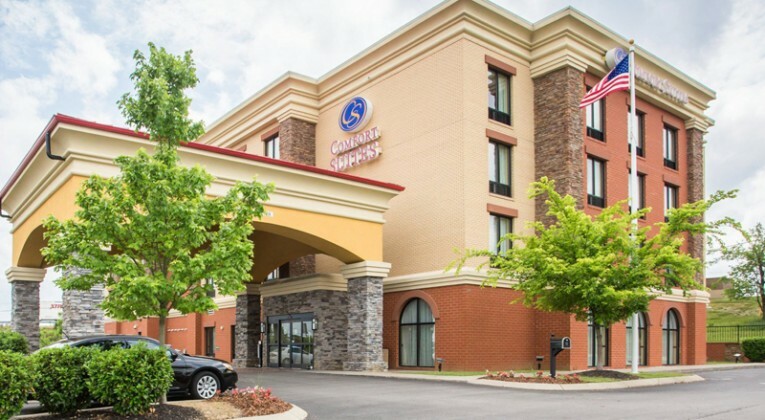 There are two promotions currently being offered by Choice Hotels: one where you can earn a free night if you enroll as a new member of the Choice Privileges frequent guest loyalty program; and the other where you can earn triple points. Join as a new member of the Choice Privileges frequent guest loyalty program, and you will be rewarded with enough points for a free night: 4,000 points right away; and another 4,000 points earned after your first stay at one of greater than 5,500 locations worldwide. That totals 8,000 Choice Privileges points — which is enough to redeem for a free night at greater than 1,500 Choice hotel properties. Eligibility for this promotion is restricted only to new members of the Choice Privileges frequent guest loyalty program who provide a valid member number when checking in at the hotel for the first stay to be eligible and maintain an address in the United States; and you must book your reservation via the official Internet web site of Choice Hotels through the Book Now button in the e-mail message which you will receive. Your stay must be completed by Friday, December 11, 2015. Please allow up to 14 business days from enrollment — as well as 14 days from checking out of your hotel at the end of your stay — for the points to post to your account. Trips at vacation rental property locations do not qualify for promotional bonus points. There are no blackout dates for free nights; but restrictions, taxes and fees do apply. Reward nights at locations worldwide are available from 6,000 to 35,000 points — excluding Australasia, where a maximum of up to 75,000 points are required to be redeemed for reward nights. Point requirements may vary based on the time of year. Click here for details and redemption level information — as well as program details, eligible rates, eligible countries and point redemption rules. Hotels are independently owned and operated. You can earn triple Choice Privileges points every time you check in for a qualifying stay at greater than 6,300 participating Choice Hotels properties between now through Friday, January 15, 2016 — but you must register for this promotion before you check out of your first hotel stay; and there is a maximum limit of 50,000 Choice Privileges bonus points which you can earn. Eligibility for this promotion is restricted to members of the Choice Privileges frequent guest loyalty program who maintain an address in the United States — including its territories — and Canada; and you must book your reservation either via the official Internet web site of Choice Hotels; through its mobile application software program on your portable electronic device; or by calling 800.4CHOICE at qualifying rates. Corporate travelers may book through a travel agent; through a global distribution system; or through a corporate online booking system. To be eligible to earn bonus Choice Privileges points, you must set your earning preference to Choice Privileges points in your account, as earning airline frequent flier loyalty program miles or Amtrak Guest Rewards points are ineligible for this promotion; and any changes to your earning preference will remain in effect after the promotion has ended. Please allow 72 hours after your check out of your hotel stay for the bonus Choice Privileges points to post. Your Choice Privileges frequent guest loyalty program membership number must be provided upon checking in at the hotel for your stay. The reservation must be booked at least 7, 14, 21 or 30 days in advance, which will vary based on the hotel for which a reservation is booked. Subject to availability, the rate starts at 15 percent off of the best available rate; and it cannot be cancelled, changed or refunded. Your credit card will be charged for the total amount within 24 to 48 hours of booking your reservation. The maximum length of the stay at this rate is seven nights. Rooms at this discount are limited. This offer cannot be combined with any other discount. Trips at vacation rental property locations and stays booked with the SEGEN rate code do not qualify for promotional bonus points. This offer is not available to groups. Rooms booked through a third party or travel agents; rooms discounted more than 20 percent; wholesale packages or senior tours; and complimentary rooms, paid for as part of a convention or meeting are not eligible to earn Choice Privileges points and therefore are not qualifying rates. …but before you sign up as a new member and participate in one or both of the promotions, you might first want to join other members of InsideFlyer in this discussion as to whether or not participation in the Choice Privileges frequent guest loyalty program — as well as its rewards — is worth the time and effort for you.